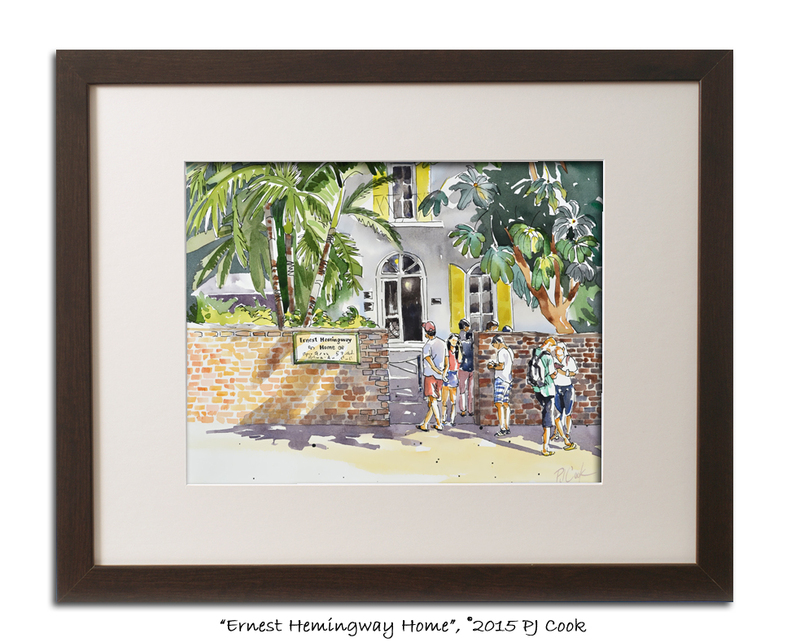 New original painting of the Ernest Hemingway Home in Key West, Florida is a 9 x 11 inch watercolor with pen & ink. 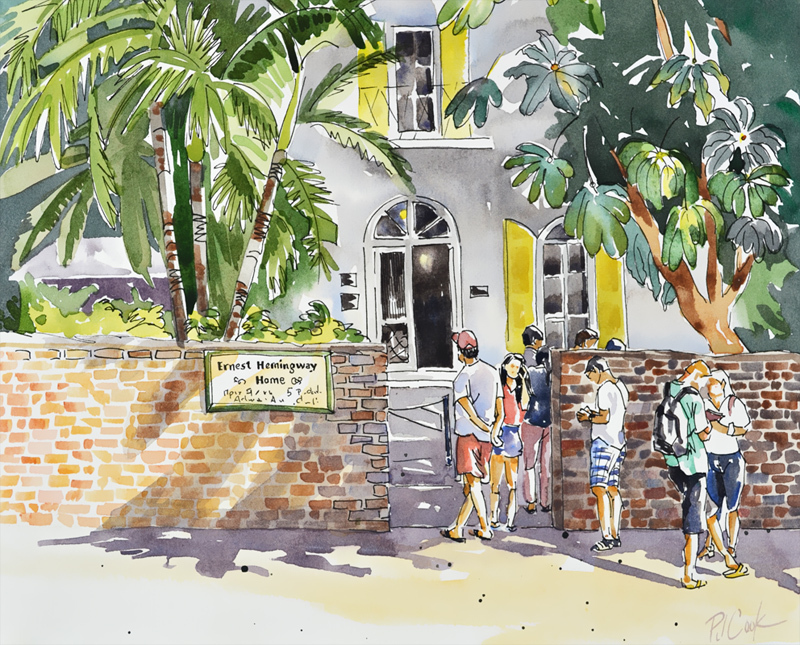 After a recent visit to Key West I wanted to paint the Ernest Hemingway Home and I chose the line of people waiting outside the home to include in the painting because of the interesting shadows and textures. The Hemingway Home has numerous trees on the property and I tried out some new green mixtures. The mixtures of green watercolor on the left side of the painting were mostly phthalo green and burnt sienna for the palm trees. I used different values for variety and added hansa yellow for the light values. On the right I loved the dark green color I mixed from phthalo green with alizarin crimson. You can see where I used more alizarin crimson to get that greenish grey color. Phthalo is very intense but when mixed with other colors it can be beautiful. Other green colors I used were phthalo blue and hansa yellow. Medium: pen and ink with watercolor.